Heating interlayer. The material is 304 stainless steel sheets both inside and outside. The width of inside sheet is 2.0mm while the outside is 1.5mm. Also heating in a constant temperature. By water or oil. 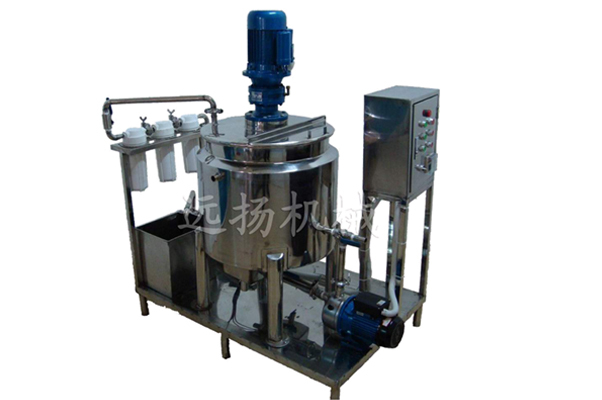 Providing the function of mixing, homogenizing, emulsification and three-level water treatment. The production capacity is high and stable. 80 kilogram products can be made in 30 minutes. It's the first choice for small production of shampoo, body lotion, Auto Water Wax, Table board liquid, hair conditioner, Leather polish and so on. Can use running water or well water directly. Pouring the materials into the reactor, they are mixed, dispersed and emulsified to make the products quality stable.